Gear up for a long journey as we are bringing you the best outerwear for winter days! 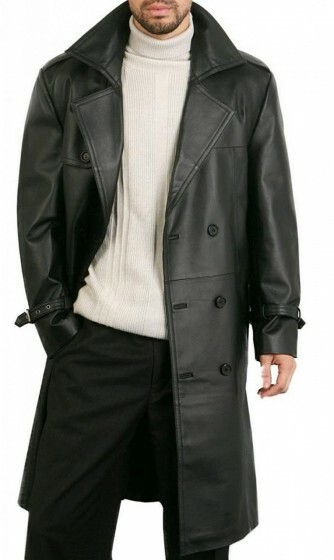 This black double breasted overcoat is a unique piece of clothing which features real leather material, biker style collar and extra storage pockets. 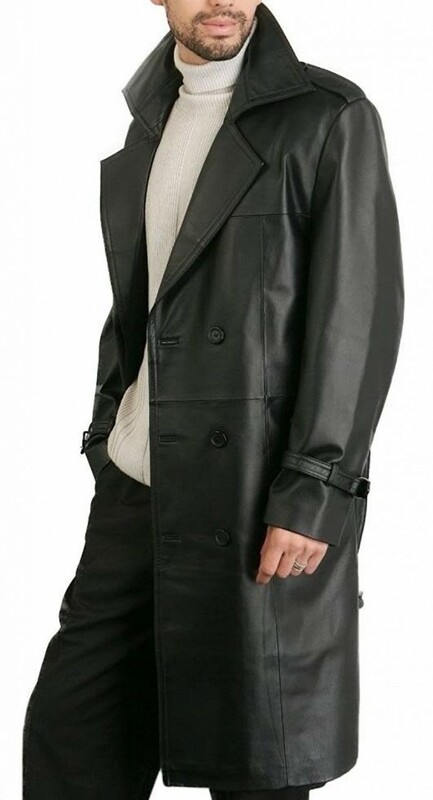 If you're ready to go on vacation or a mission, you may require this biker black leather coat to keep the body warm! the jacket worked very well. the size was correct and shipping was at the right time. Service was great, handled returns fantastically, made sure I was satisfied with service. I am completely satisfied by my order. I have no complaints regarding quality or customer support. Inside it is super warm especially when there is cold. It also provides a luxurious touch to my body. I was expecting a sizing issue but glad that never happened. After watching the trailer, i hit the order button for this punisher trench coat. it's on its way. It is a solid product, very warm from inside and fits like Frank Castle. I even have the Punisher Shirt, it'll create a perfect match for my body. Thanks a bunch i will my buddies about my shopping experience.